Wisconsin authorities have arrested three people in connection with the theft of a three-century-old Stradivarius violin valued at $5 million. The rare Stradivarius was stolen on January 27 from the Milwaukee Symphony concertmaster, to whom it had been lent. A $100,000 reward had been offered for the instrument’s safe return. 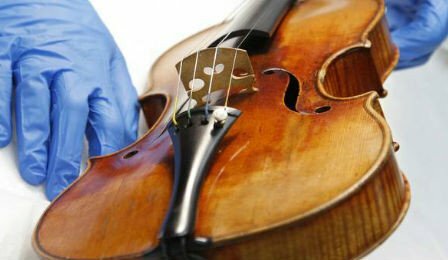 Authorities have not said whether the violin, known as the Lipinski Strad, has been recovered. Police say a robber used a stun gun on concertmaster Frank Almond in a church car park after a performance, then fled with the violin. The instrument was built in 1715 by master Antonio Stradivari, widely considered the greatest violin maker in history. The Lipinski Strad was formerly owned by Polish player Karol Lipinski and 18th Century virtuoso Giuseppe Tartini. The violin’s current owner, who has requested anonymity, said her “heart is broken” following the theft.